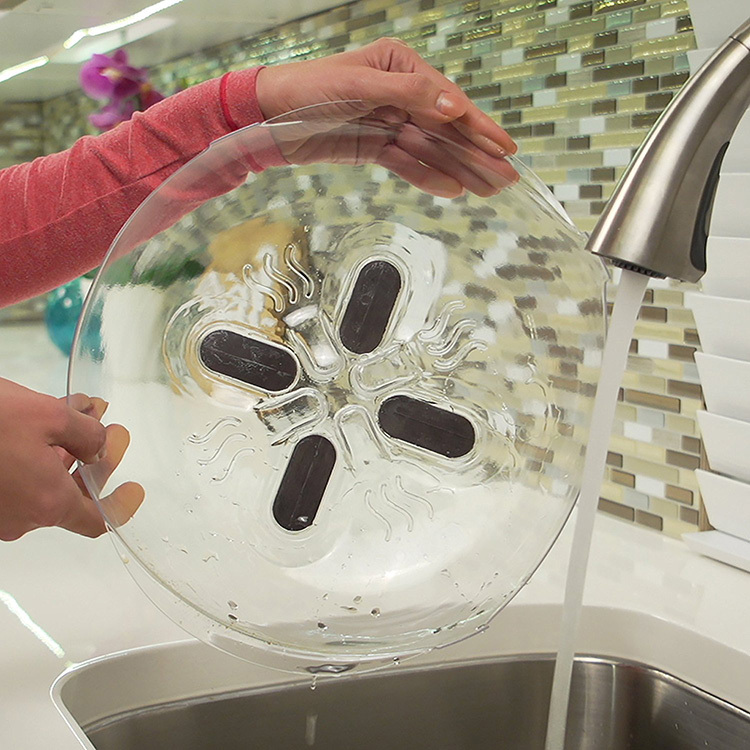 Microwave-safe magnets let you store your splatter cover on the ceiling when not in use. When cooking in the microwave, food often causes a mess in the interior of the oven. Paper towels are messy and current splatter guards on the market are large, bulky and difficult to store. Plus, when used for longer cooking times they get extremely hot in the microwave and become nearly impossible to handle. 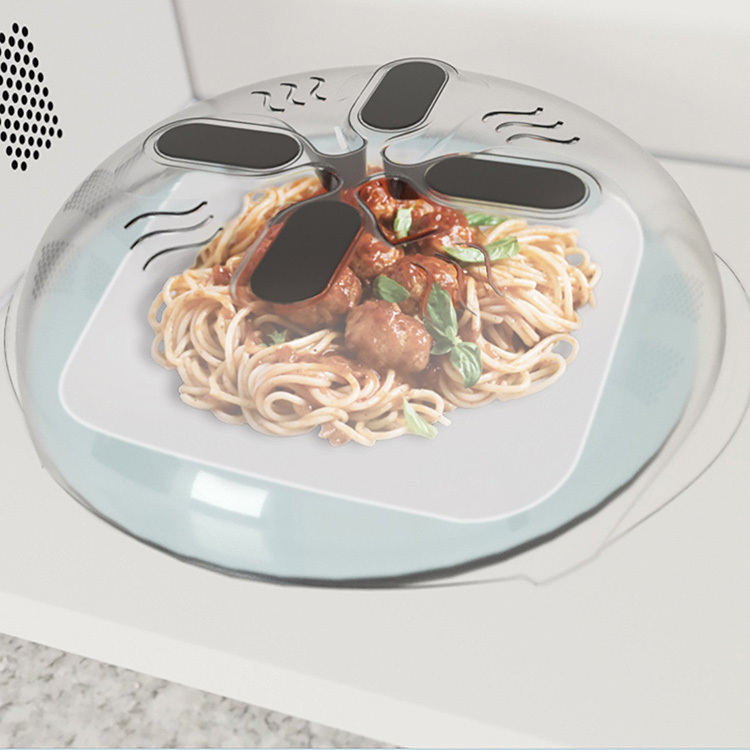 Enhance developed a proprietary technology with microwave safe magnets, so the splatter cover can remain in the microwave at all times. When in use, just pull down to cover… then lift to hover! Further, the unique venting configuration keeps the cover cool to the touch, even during longer cooking times.